Knowledge Chilly Cha Cha Anyone? Here's some spicy facts: It is estimated that one in four people eats chillis every day. Are you that 25%? Face it, chillies are an integral part of diets around the world, from Mexico to Korea and back to Malaysia. In Malaysia, it's said that the Malays and Indians are better chilly eaters compared to their fellow Malaysians-Chinese. Yeah, I have always heard my Chinese colleague complaining about there are too many spicy foods in the eateries and mamaks (What on earth are they expecting? Of course lar~). Well, I'm self-confessed chillies lover. If possible I would love to have chillies in each and every one of my meal. From Sambal ikan bilis bread to nasi lemak and spicy chicken chops. Darn...I'm feeling hungry right now. Do you guys know that chillis were 1st domesticated in South America, in what is now known as Bolivia, some 6000 years ago. 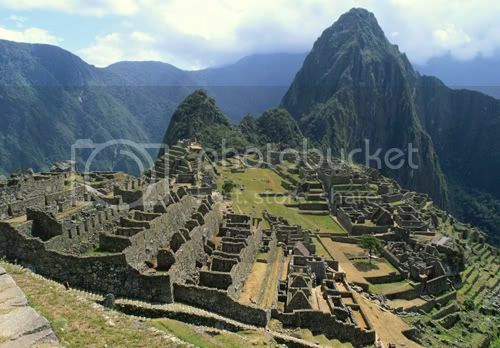 The Incas (The Inca civilization began as a tribe in the Cuzco area, where the legendary first Sapa Inca, Manco Capac founded the Kishawn of Cuzco around 1200.) called the spicy fruit aji, and then the Aztecs changed it to chilli. Hmm...I wonder if Ajinomoto's name was derived from the spicy fruits that the Incas referred. Who cares right! Chilli-phillic should really thank the late Christopher Columbus because he actually christened chillies and spread the spicy fruits across Europe in the late 1400s. And from there, the Portuguese and Spanish traders introduced them to Asia and Africa. Yes, chillies were not local. Chillies are actually foreign-invading plants. But, it was such a hit that we Asians soon viewed the import as our own. (P.S. But this is not what I learnt from my history lesson). Incas-The origin of chilli pepper? Today there are literally thousands of varieties of chillies around the world thanks to its sheer commerciality and ease of cross-pollination. The Thais eat more hot peppers-5 grams per person per day-than anyone else in the world. And the Indians produce more chilli peppers (over 2 million acres worth) compared to any other country. And Hungary's famous pungent condiment, the paprika (Latin=pepper), is derived from the hot and sweet red peppers grown in Central Europe and Spain. Hmm...I see. 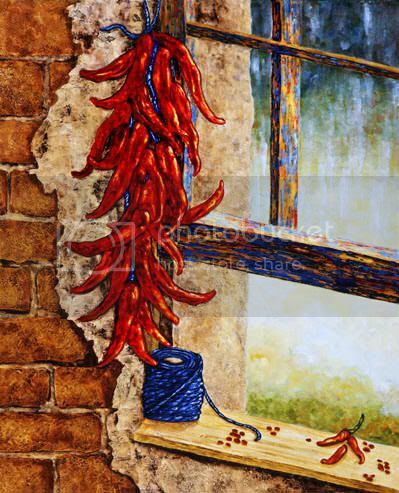 The holy chilli: Hung by the window to ward off evil! What's With Vampires & Lycans? Here's another reason why you should have your house fully-loaded with chilli peppers: they have long been a part of folklore around the world. Yes, chilli peppers were used to deter vampires and werewolves in Eastern Europe. And here's something interesting: chilli peppers are also used to ward of "evil eye" by South and Cenral Americans. What's "evil eye" right? According to wiki, "evil eye"=belief that the envy elicited by the good luck of fortunate people may result in their misfortune. And here's more...in northern Mexico, chillis are still used in potions meant to make a rival sick, and as a remedy for hangovers. Because it's hot? Or perhaps it makes us look hot? Ha=) Ok, here's the physiological clarification. When we guzzle the chilli sauce down our throat, our body releases endorphins to counter the pain brought on by the red-hot chilli peppers. It's these endorphins that create a mild euphoria or a mini high or aka pepper-high. Wow! In other words, we chilli lovers are sadists who love to torture ourselves with chillies to get high? 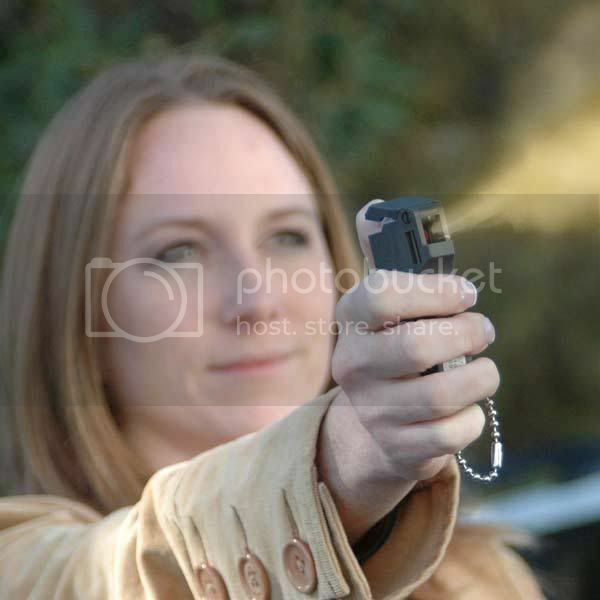 Pepper spray: A potential weapon! Be really careful when using it! Most of us know that cigarette get their kicks from nicotine and coffee have theirs from caffeine right? So what about chillies? Where's the kick comes from? The secret of chilli peppers....is a chemical called capsaicin located in the inside wall of the pepper pod. Capsaicin is indeed a potent weapon too mind you. The Incas burned red peppers to temporarily blind invading Spaniards, and the Mayans penalized felons by forcing them to inhale the acrid smoke of burning peppers. History has shown us how deadly chilli can be right? That's why these days, police forces fight off baddies with pepper spray and tear gas made from capsaicin. hail the great chilli! Your post reminds me of that tune, was it from the Philippines? Chilly Cha Cha! I love spicy food too, but depends on mood. Haha. Msians can't do w/o chillies in our food :) Eating chillies is good for health. But not overdosing on food of any kind. 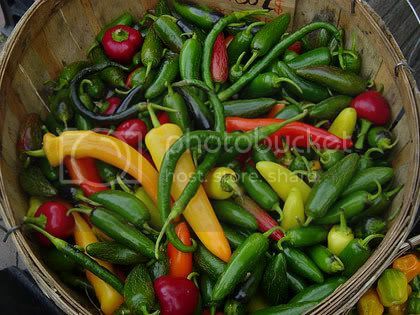 My grandma used to eat birdeye chillies whole! I didn't know chilis are from South America. I thought it's from Asia since it's so popular here! Thanks for the interesting historical info! 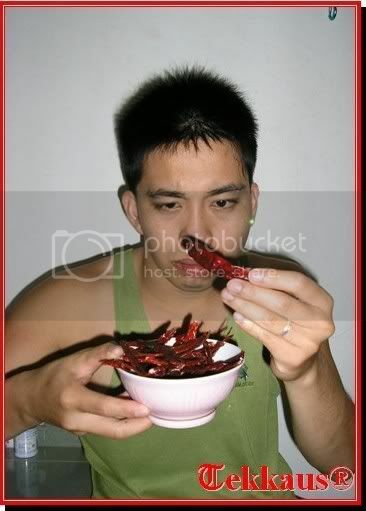 I love chili in my food, but not too spicy. Can't take it if too spicy. Cos I'm a Chinese. Haha! Foongpc-->Yeah. I didn't know that too. I mean we learn in our form 1 history syllabus that Spices are from Asia right? Beats me.